He was "the greatest." Legendary boxer and world champion Muhammad Ali died late Friday night, after being admitted to the hospital for respiratory issues just one day prior. He was 74. Bob Gunnell, a family spokesman, confirmed the news to USA Today. After a 32-year battle with Parkinson’s disease, Muhammad Ali has passed away at the age of 74. 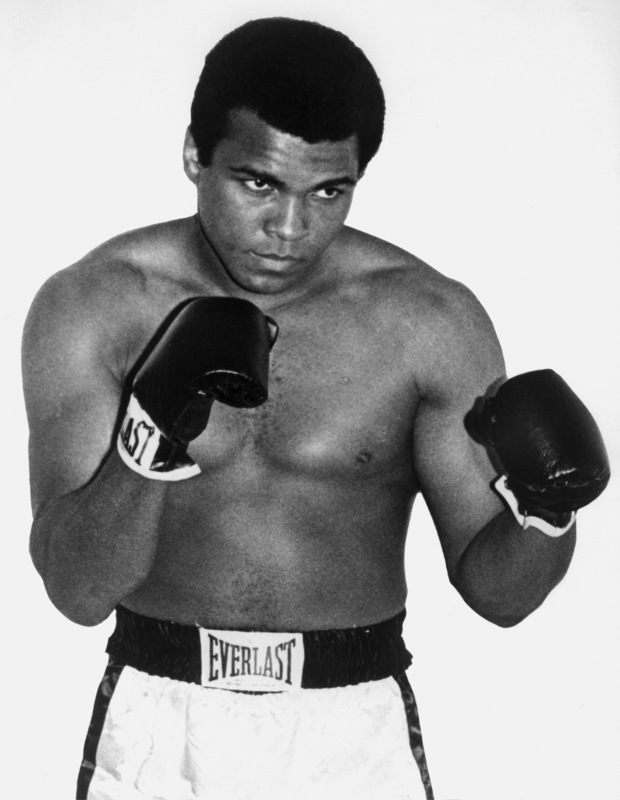 The three-time World Heavyweight Champion boxer died this evening. Ali died at Scottsdale Osborn Medical Center in Phoenix, Arizona, where he was hospitalized Thursday for a respiratory illness complicated by late-stage Parkinson's. Funeral services will be held in Ali's hometown of Louisville, Kentucky, Gunnell confirmed. “The Ali family would like to thank everyone for their thoughts, prayers, and support and asks for privacy at this time,” Gunnell said. Ali, born Cassius Marcellus Clay, rose to stardom after winning a gold metal at the 1960 Olympics in Rome. Four years later, he beat Sonny Liston to win his first world title and secured his place as one of the youngest heavyweight champions of all time. He left the ring in 1981, after winning 56 of 61 fights. Just three years later, Ali was diagnosed with Parkinson's disease, a progressive disorder of the central nervous system affecting speech and movement. Social justice issues and humanitarian efforts soon became his focus. Ali traveled frequently to promote peace, meeting with Saddam Hussein in Iraq during the Gulf War to negotiate the release of American hostages, and later in Afghanistan as the "U.N. Messenger of Peace." Still, Ali had a soft spot for the Olympic Games, the event that jumpstarted his career. He was chosen to light the flame at the 1996 Summer Olympics in Atlanta, Georgia. In 2012, he returned to the stage as a titular bearer of the Olympic flag during the opening ceremonies in London. In recent years, his health declined drastically. In late 2014, Ali was rushed to the hospital for pneumonia. And just two weeks later, he was admitted again after being found unresponsive. He was ultimately diagnosed with a urinary tract infection and sent home. Most recently, Ali released a statement directed towards Donald Trump, who had called for a ban on Muslims entering the United States in the wake of the San Bernadino shooting. Ali was a heavyweight, not just in the ring, but in life as well. In 2009, his wife Yolanda "Lonnie" Ali read aloud a piece he wrote for NPR. "Nothing in life has defeated me," he wrote. "I am still the 'Greatest.' This I believe." Ali leaves behind his wife of nearly 30 years and nine children.